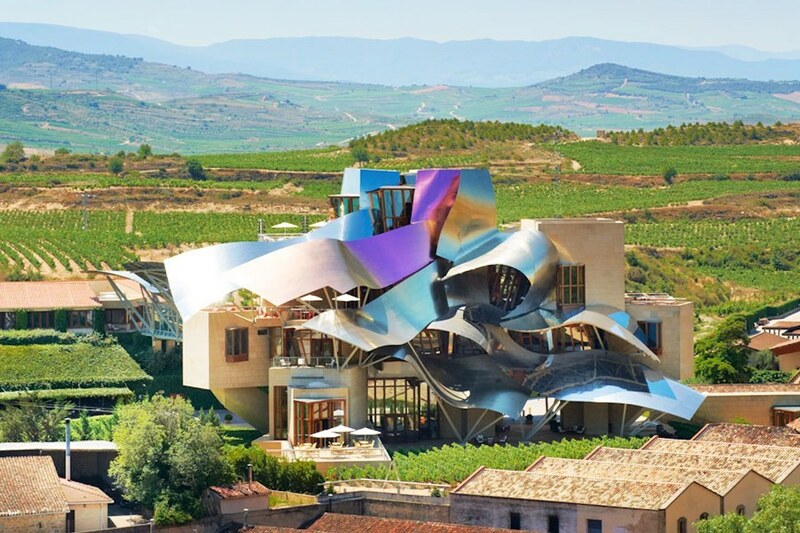 Since its inauguration in 2006, this masterpiece created by Frank Gehry to house the Hotel Marqués de Riscal has become a coveted and luxurious contemporary retreat. Design, art, gastronomy, wine and lush landscape coexist to offer an unforgettable stay in the city of wine. The luxurious interior décor of the hotel carries the unmistakable Gehry seal. The sloping walls, zigzag windows, towering ceilings and the multitude of specially designed details that present their 43 rooms and suites create the impression that we stayed in a work of art . The stunning Marqués de Riscal, a Luxury Collection, is located in Elciego, in La Rioja’s Álava province. Designed by Frank Gehry, this avant-garde hotel offers free WiFi, a spa and 2 restaurants. Most of the unique rooms at the Hotel Marqués de Riscal feature a distinctive zigzag window seat with views of the valley. The black marble bathrooms are fully equipped and include a hairdryer. 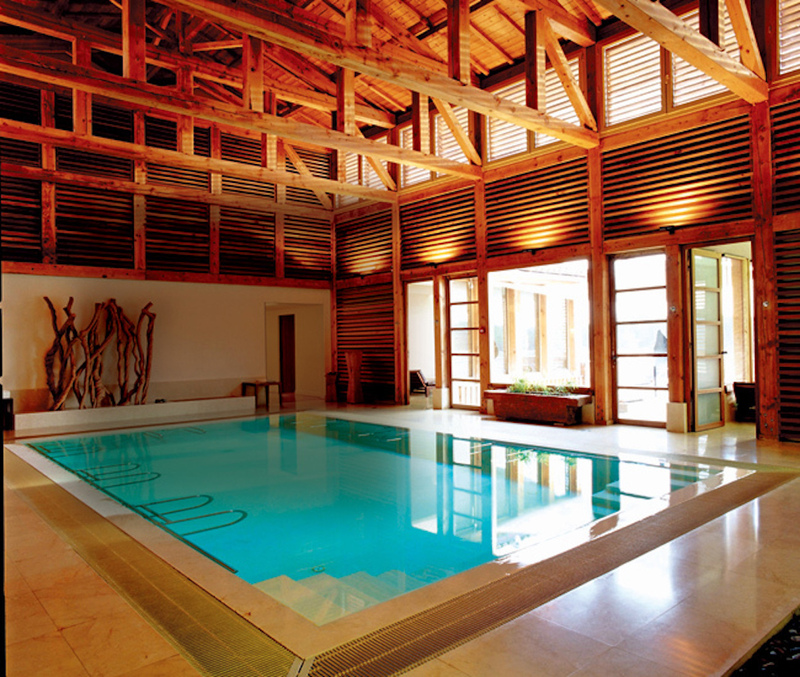 The Vinothérapie Spa, by Caudalie Marqués de Riscal, offers a range of grape-based treatments. There is also an indoor pool, Finnish sauna, fitness center and massage services. The Marqués de Riscal Restaurant serves dishes from Northern Spain, while the 1860 Tradition Restaurant offers traditional Spanish cuisine with a modern twist and using localproduce. Breakfast is in the style of a tasting menu. At the top of the hotel there is a rooftop library-lounge and a wine bar. You can enjoy panoramic views from here or from the 8 terraces. The hotel organizes wine tours round the Marqués de Riscal vineyards and the Vivanco Museum, Europe’s largest wine museum. Hotel Marqués de Riscal is easily accessible from the AP-68 Motorway which runs from Bilbao to Zaragoza.